The female returned before the male on the 29th March, but the male was not far behind her returning on the 31st. Due to a technical fault the cameras were not operational until late afternoon of 15th April, when an egg was briefly spotted as the female moved on the nest. The following morning it was apparent there were in fact two eggs in the nest, with a third egg added on the 17th. The behaviour of the female had changed on the 11th, when it is believed the first egg was laid. 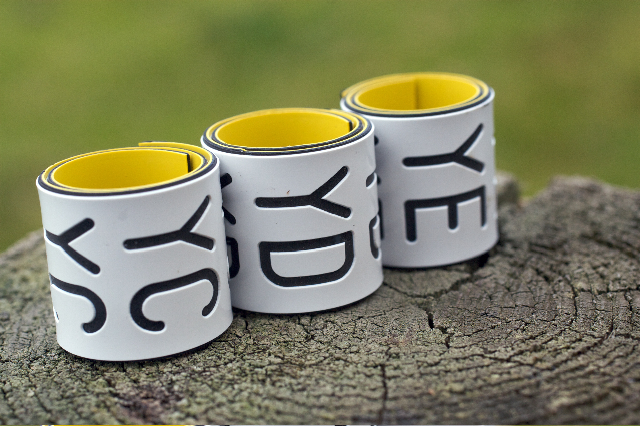 The chicks hatched on 18th, 20th and 22nd May and all seemed well when they were ringed on 8th June. They were fitted with black Darvic rings with white lettering. Black 2J a female, and Black 80 and Black 5Y males. Two days later however, the eldest chick Black 2J suddenly collapsed and died in the nest whilst exercising her wings, shortly after feeding. She had appeared healthy from the moment she had hatched and was the dominant chick in the nest. It was 3rd July before the female was able to remove the body from the nest and although it was recovered and sent for analysis, it was too badly decomposed to determine a cause. Fortunately, the male chicks continued to thrive and fledged on 11th and 17th July. The family remained in the area until early September. There was some confusion when the male first arrived back on 26th March, as although he was wearing a metal BTO ring on his left leg he was without his Darvic ring. He looked like our male however, and as soon as the female returned on 28th March they began mating and bonding as though they knew each other well. Fortunately a new camera system had been installed during the winter and soon we were able to zoom in and read the number on the BTO ring for the first time. Roy Dennis was then able to confirm that the number we had read was the one belonging to 11(98). The eggs soon followed on 9th, 12th and 15th April and hatched on 16th, 18th and 20th May. On the afternoon of 2nd June the middle chick appeared rather listless and sleepy in the nest and did not get up to feed with the other two chicks when the male returned with a fish. The following morning after the chicks had been fed, it was noticed that one of the chicks was not moving in the nest and appeared to be dead. It was almost certainly the middle chick. The female appeared slightly distressed and repeatedly covered it with sycamore leaves. But two days later she removed it from the nest. Fortunately the remaining two chicks were healthy and on 19th June they were ringed. White Darvics were used with black lettering. White YB, the eldest chick and clearly the larger of the two was sexed as being a female and White YA a male. On 8th July White YB fledged, although it was probably not the way she intended it to be. She was wing exercising on the edge of the nest when her mother decided to come down from the top of the camera trunk back into the nest. Unfortunately it was exactly the same moment that YB came down from her helicoptering and she was sent cascading down the tree, ending up on one of the branches. She remained there for several hours before finally making her way back to the tree. Her younger brother fledged two days later on 10th July. Towards the end of the season the female, who was by then fishing again brought a Flounder back to the nest, the first time we had seen a flat fish in the Glaslyn nest. They remain one of the rarer fish prey caught by the Glaslyn pair. 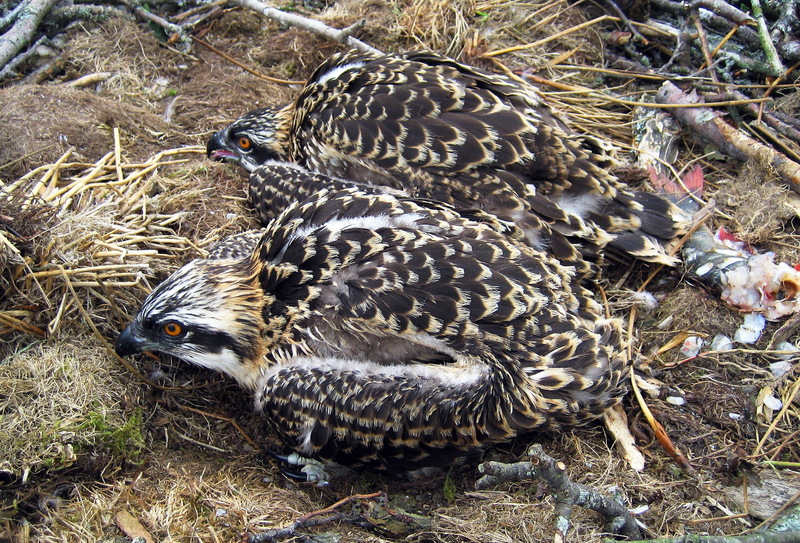 All the ospreys had left the area by the end of August. The male returned on the same day as the previous year, 26th March, and was joined by the female the following day. The eggs were laid on 8th, 11th and 14th April and they hatched on 16th, 17th and 19th May. 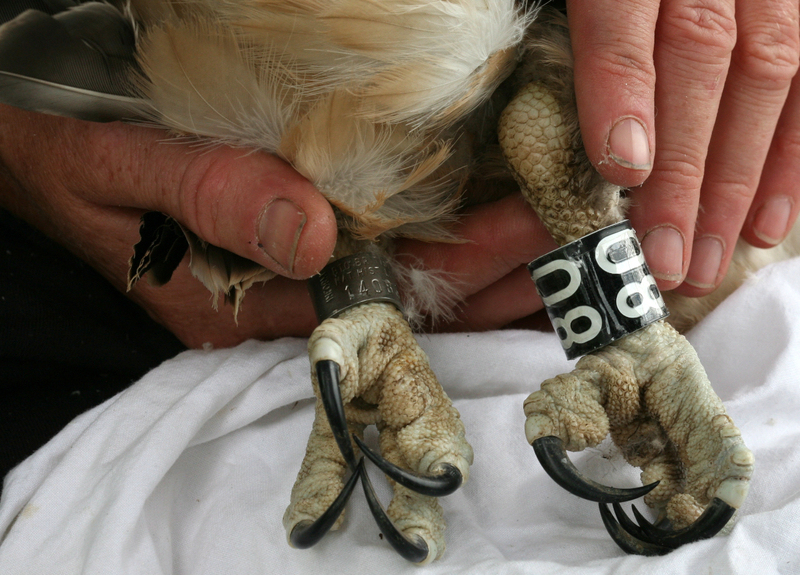 The chicks were ringed on 20th June and once again white Darvics were used. The eldest two chicks were male, White YD and YC. The youngest chick was a female YE. For the first time three chicks successfully fledged from the Glaslyn nest. White YD fledged on 4th July, with White YC joining him the following day. Both were only 49 days old when they left the nest. 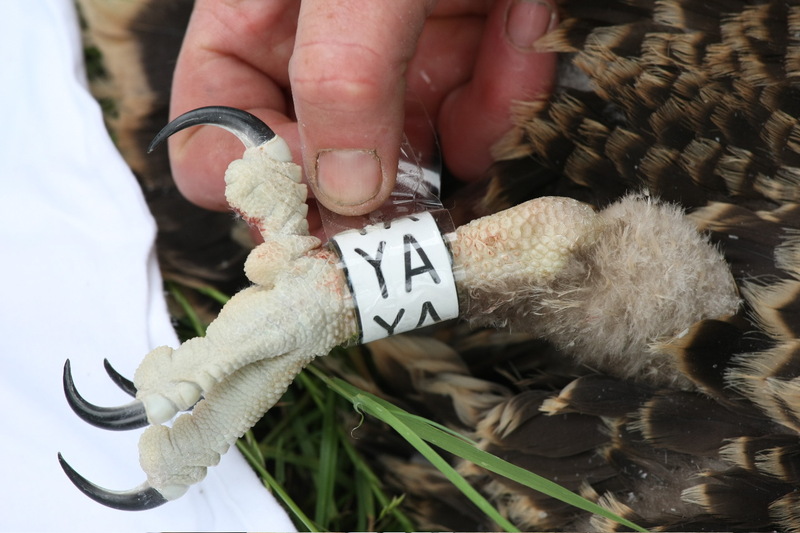 White YE waited until the 11th July to become independent, but she was only 53 days old, the average age for juvenile ospreys to fledge. The family remained in the area until early September. 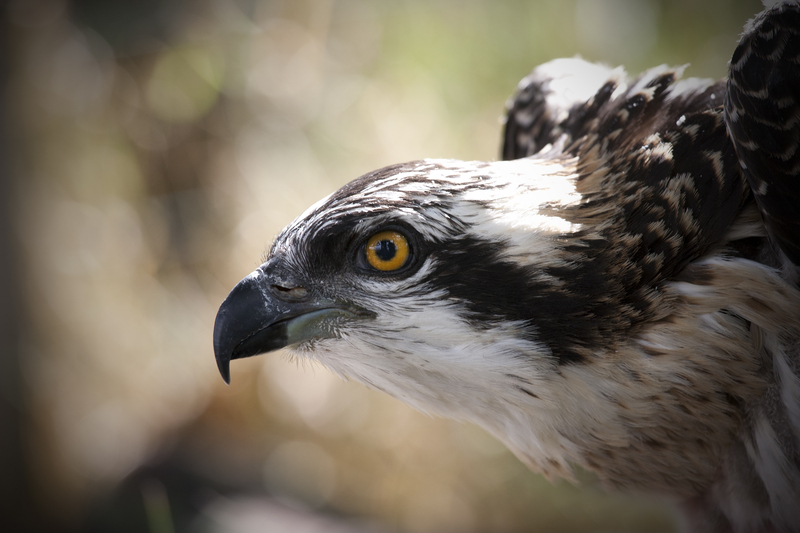 On 28th July it was discovered that Black 80 was present at an artificial nest in Dumfries and Galloway, the first of the Glaslyn born Ospreys to have been confirmed to have returned to the UK.